Situated in an idyllic and peaceful location within 3 Minutes walk of Lee on the Solent Beach and Stokes Bay Beach which both have exceptional views to the Solent and the Isle and Wight the Beach House at Lee is ideally suited to a couple or a family seeking a quiet break with easy connections to night life if required. Easy connections to Historic Dockyard Portsmouth for Mary Rose, Nelson's Victory, London and the Isle of Wight. I moved into this area from London on joining the Royal Navy in 1971. Having worked and lived in many places around the globe it is Lee on the Solent I fell in love with and have chosen to make my home. I am an Engineer but have always found that my real talent lies in dealing with people in fact my greatest achievement after fatherhood was receiving the MBE from her majesty for a role directly linked to talking and hosting people in and around the United Kingdom. I am retired and live above the property and look forward to meeting and hosting peoples from around the world. I have spent a long career travelling the world and meeting people and now look forward to people meeting me and hopefully giving me the opportunity to show others the same level of hospitality which was shown to me in my travels. I have made it a home from home where one can relax and enjoy! The Beach House at Lee on the Solent is in a quiet location with easy access to Isle of Wight, New Forest, Portsmouth and its Historic Dockyard which hosts Nelson's Victory, Mary Rose The Warrior and Gunwharf shopping Outlet Centre. Broadband is provided but not guaranteed. System is very reliable (has not dropped off in the 2 years of operation). The flat is beautifully presented and all the rooms are a good size, as a family of four there was plenty of space for all of us. The garden was an added extra, especially as the weather was so good. Lionel is a fabulous host, he was available to greet us when we arrived and we enjoyed a very warm welcome as he took time to show us around and the welcome pack was very well received! We have enjoyed a really lovely weekend and will definitely be back in the future. Thank you so much Lionel. Thank you very much for your kind words. I am really sorry I missed saying goodbye. I was looking out but must have just missed you. If your lad ever wants to discuss the Navy I would be happy to help. Thank you for your kind words and for leaving the property in a really good order including the washing. Sorry I didn't get to say goodbye but maybe next time. The flat was perfect for our family stay and Lionel is a really thoughtful host. We also slept very well, the area is nice and quiet. Would definitely recommend to family and friends. Lovely flat, very Comfortable,quiet and relaxing area, would very much like to revisit . Very Clean,Comfortable, totally relaxing.Made very welcome by Lionel, and super Welcome pack. Good size rooms, very Comfortable beds, very good bathroom facilities. Very quiet area,yet good local pub 5 minute walk away for very good value food. Five minute walk to Coastal path and great views. Have no hesitation in recommending to family and friends. Thank you Lionel for letting us stay at your lovely flat. Thank you for those kind words and leaving the flat in an excellent condition. Sorry I didn't get to say goodbye but I didn't hear you leave. 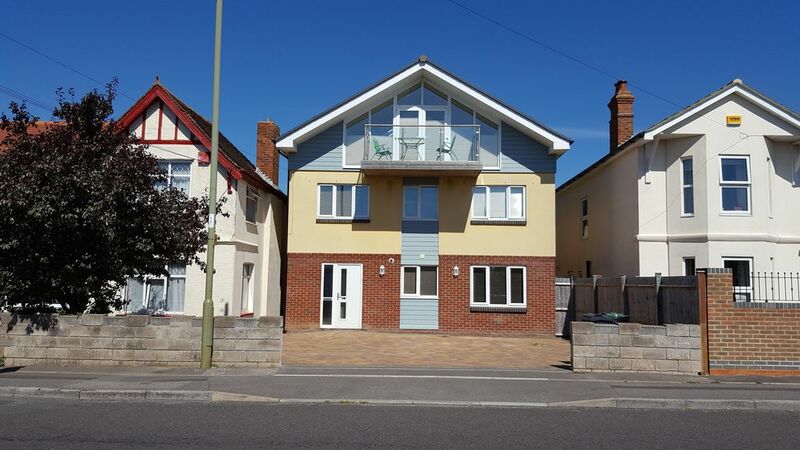 Amazing location 2 min walk to the beach less than a 1 min to the local pub and same for the local shops bus route directly outside door for Gosport, Fareham and Southampton . Place was absolutely spotless the host was lovely and friendly tea and coffee was available on arrival as the host had already stocked the fridge with milk and a selection of foods to have when ready. can not fault this place and stay in any way we will definitely be returning as felt like a home from home. Thank you Lionel for allowing us to stay at your property. Lovely property and a delightful host. We were greeted by our host Lionel very warmly and welcomed into the property. We were shown around the property including how the heating worked. We also received a welcome pack which we were not expecting but was very grateful. The property was clean and tidy and had everything you would need for a stay. Within walking distance or a short car ride there were many places to explore. I can recommend Smart fish and chips with excellent fish and well portioned chips. Our host Lionel made himself available if there were any problems but was not intrusive. We had a fantastic stay with really beautiful weather for October. I would recommend this property to family and friends. We will be visiting again. Thank you. This Holiday Self catering apartment was completed in 2012 to an extremely high standard. The overall design is to give a “home from home feeling while enjoying your holiday”. Lee on the Solent town center is just a few minutes’ walk and has an excellent selection of Restaurants, Bars, Cafe's and Take A- ways. Lee is close to the Gosport Ferry which gives access to Portsmouth and the Historic Dockyard, Southampton and the Isle of Wight. The Rental has its own entrance via a shared Hallway with the owner. There is dedicated off road parking with plenty of on road parking available. The property is thoroughly cleaned on change over day with clean linen and a starter pack provided on first day. PAYMENT BY GUEST WILL BE CONSIDERED ACCEPTANCE OF THIS LETTING AGREEMENT BY ALL PARTIES STAYING AT THE BEACH HOUSE FOR THE DURATION OF THE HOLIDAY.